In the market for an Android tablet? Yeah, I wouldn’t be either. Not until the Amazon Fire and new Nook have some reviews out. And especially not before Black Friday. Let’s pretend anyway! 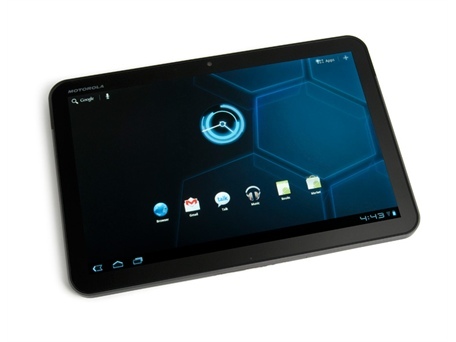 Woot.com has a great deal today on the 32GB, WiFI only version of Motorola’s Xoom tablet. The device is going to $330 +$5 shipping. The only catch is that this is a refurbished model. None the less, betcha these sell out! Want something new? Take a look at the 32GB Lenovo K1 Android tablet for $350. I’ve been drooling over this little guy in the stores lately. Same specs, same storage, slightly worse screen, but brand new and comes with a bundle of apps (even some good ones!). I just love that the Lenovo isn’t yet another dull black slab. That aluminum trim just adds so much style! Amazon and Newegg have the Lenovo.